Sky is the limit for Cloud Computing. We are witnessing a massive growth in the adoption and evolution of cloud computing. In some sense, cloud providers like Microsoft, AWS, Google etc. have become to computing and IT, what Walmart, IKEA, and Tesco were for retail. They have huge global infrastructures (read data centers and networks) to offer seamless, on demand, real-time IT services for individuals as well as enterprises of all sizes. Can you believe AWS even offers “Human work as a service”? Yes, you heard it right. So if you have a job and need human workforce, AWS can offer you that as well! It may look like the cloud ecosystem has stabilized with a few major players from the west and typical consumers being start-ups, large enterprises, and niche use cases. But, you are in for a surprise here! In the next couple of years, the global market for cloud is already projected to be over $200 Billion. And this is only going to get bigger and better in the next decade! Imagine a world, where from the moment you wake up until the time you sip your morning cup of tea or coffee, you’ve already created megabytes of data on your quality of sleep, heart rate, calories burnt etc. Isn’t this happening already? Well, yes, but today, your phone doesn’t recommend you a personalized breakfast option based on your last night’s sleep. Neither do you get a fully personalized holiday package deal with your best friends or family when you absolutely need it! We’re still far from this. At least at a mass scale. These technologies will become commonplace when we accept them ubiquitously – at work, at home, during travel, and in public services. It is no surprise to see working professionals feeling an urgency to re-skill and upskill themselves in hot tech areas like cloud computing, big data engineering, cloud-based analytics and IoT. However, pursuing either isolated cloud computing courses or analytics courses are not very helpful. What you need is a truly experiential learning program or pathway. But how do we even get there? Where does all this data go? How is it analyzed? Where are all these millions of intelligent computers? How will I (an individual) ever be able to afford these computers? So, what will propel cloud in the next 10 years? Multiple factors like 5G networks, Big Data, Artificial Intelligence, Internet of Things and Smart Cities. In the context of India and most of the world, we have 4G telecom networks and data speeds today which is far better than what 3G was. Very soon, the world will witness 10 to 100 times faster networks with 5G. For all the right reasons, this might happen in India sooner than any other country. This means all of us will create and consume terabytes of data on a daily basis. And it is not just us, but everything around us. All our connected devices, home appliances, vehicles, buildings etc. will continuously generate 10 to 100 times the data being generated today – Simply because, with 5G we will be able to do so, at the tap of our fingers! Such high-speed networks will only enable cloud providers to deliver services at an almost real-time basis without the slight “yet acceptable” latency of the networks available today. This is a positive development for the growth of cloud. “A faster Internet creates highly engaged customers and happier companies (pun intended).” Simply because you create more data. When people are given a convenient option of downloading an HD video over other inferior resolutions, they will almost always prefer to consume HD. And arguably, they’ll do it many times during a day. More and more people will move closer to such media streaming services which will explode the subscriber base for such companies. e.g. Netflix, Amazon Prime, Hotstar etc. Interestingly, the more you consume from such platforms, the better for them – as your engagement generates continuous behavioral data points, which will allow the likes of Netflix to create better and relevant content for various user groups. If you already don’t know, Netflix is now transforming itself from a content streaming service to also a content creation platform. It is amazing to note that “Televisions never had this big data advantage”. However again, to create truly personalized content engines and recommendations, we would need highly skilled big data and cloud computing professionals. Remember, big data only became possible due to mobile devices, cheap storage, and cloud computing platforms. Another exciting area of development is in the gaming industry! It’s already huge. But with companies and individuals attempting to create real-time massive online games, enhanced with AR/VR and blessed with upcoming 5G speeds, this cant get any better. With such an immersive experience, there is no doubt that people will spend even more time playing these online games across the world. And in this entertaining process, generate BIG DATA! What do you do with all the data that we’ve talked about? Well, its used to understand YOU! If businesses understand you really well (excluding PII – Personally Identifiable Information), they’re better enabled to serve you with the most personalized product or service. But how do they achieve this business goal? All the big data created by users is ultimately consumed directly by an analytical tool like Tableau or is used to train machine learning models. Like humans, machine learns from observations. The better the data in terms of quality and quantity, the better is the learning outcome of these machines (understand software machines created using code). Higher network speeds, bigger data pools, faster computing capabilities and most importantly ubiquitous real-time connectivity to the Internet, are all positives for AI’s continuing evolution. A recent MIT Technology Review article already believes that AI will double the cloud market to over $260 billion over the coming years. And this is just the start. With all the connected devices, data, cloud and artificial intelligence, it is only natural and imperative that we create communities truly based on these technologies. These communities (read smart cities) will require real-time insights and intelligent “thinking applications” which are built using Big Data, Machine Learning, and AI. And cloud helps us do exactly this from anywhere, anytime and for whatever you need to build. To cash in on this trend and technological evolution, tech professionals are trying to jump the bandwagon of learning cloud computing, AI and IoT through on line learning courses on cloud computing and allied areas. Again to reiterate, isolated cloud certifications and courses are only as helpful as getting your foot in the door. In order to become a true expert, you will need more an online certification – a truly experiential cloud computing learning program. One such program is offered by Great Learning. So in order to create tomorrow’s IT solutions based on billions of data generating devices, applications, algorithms, and people, you will have to change your approach in how you design and consume IT infrastructure and Applications. But more than that, Cloud fundamentally changes what we can possibly build tomorrow. This is the reason why we think, Cloud is a paradigm shift in computing. 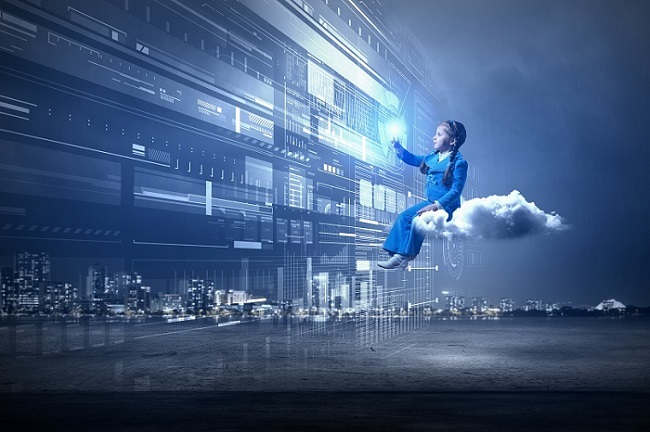 Are you ready for the next wave of Cloud revolution?